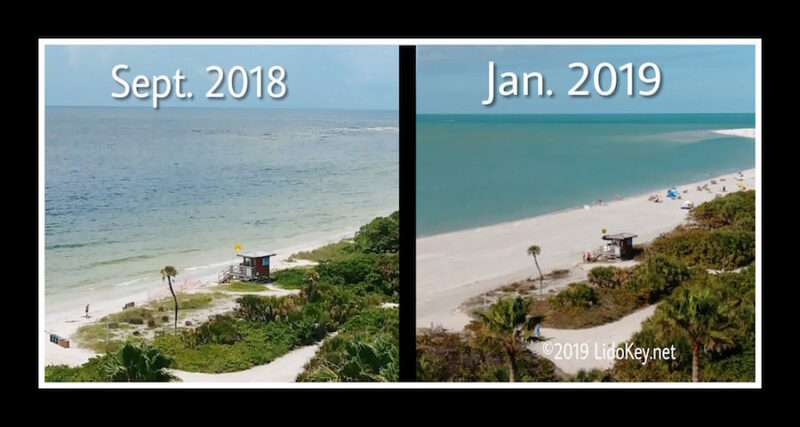 With no comments on March 18, the Sarasota City Commission formally approved two budget amendments regarding separate projects designed to stabilize the critically eroded beach on Lido Key. Both items were on the board’s Consent Agenda No. 2 of routine business matters. Vice Mayor Jen Ahearn-Koch made the motion to approve that Consent Agenda, and Commissioner Shelli Freeland Eddie seconded it. The vote in favor of the motion was unanimous. The first resolution amended the city’s 2019 fiscal year budget to reflect funding from outside sources for the emergency renourishment project on Lido Key that began in December 2018. The Federal Emergency Management Agency (FEMA) awarded the city $722,229 for that initiative in response to damage Hurricane Irma inflicted on the shoreline in September 2017. Another $120,372 in State Emergency Response Team (SERT) funding was for Irma damage, too. The 2019 fiscal year began on Oct. 1, 2018. Additionally, FEMA awarded the city $85,974 for erosion produced by Hurricane Hermine in 2016, and the city received $14,329 in SERT funds for that storm, as well. A Feb. 27 memo from city Finance Director Kelly Strickland to City Engineer Alexandrea DavisShaw pointed out that the emergency Lido project was expected to cost $3,943,000. To cover the rest of the expense after acceptance of the state and federal funds for hurricane damage, Strickland continued, $3,000,096 would be split evenly between the city and the Florida Department of Environmental Protection (FDEP). 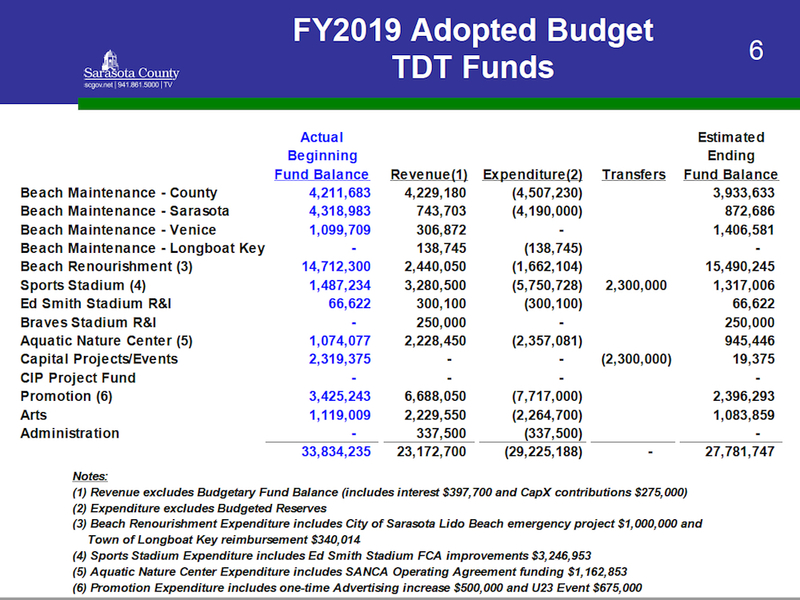 The city will take its $1,500,048 from funds set aside for city beach renourishment initiatives out of county Tourist Development Tax (TDT) revenue. A county formula divvies up part of the “bed tax” revenue each year for cities in the county to use for renourishment projects. The formula is based on the populations of the municipalities. The second budget item related to Lido involves the long-range plan designed by the U.S. Army Corps of Engineers (USACE), which proposes to take sand from Big Sarasota Pass. City Manager Tom Barwin has said that the city anticipates the start of that project this fall. However, two Siesta Key-based nonprofits have filed lawsuits to try to preserve the pass in its natural state. The Siesta Key Association (SKA) is pursuing action in the 12th Judicial Circuit Court in Sarasota that it initiated in March 2017 against the city. 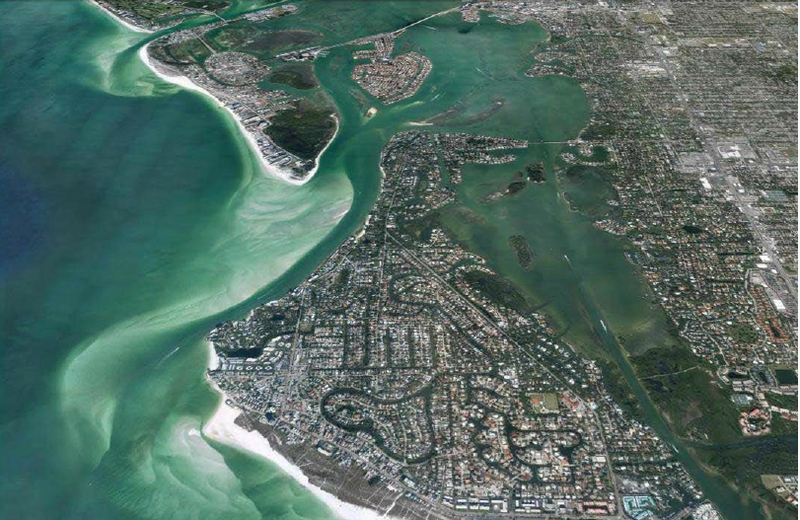 In January, Save Our Siesta Sand 2 (SOSS2) filed a complaint against the USACE in the U.S. District Court for the Middle District of Florida. The city and the USACE received the necessary FDEP permit for the project in June 2018. Documents provided to the commission for the March 18 meeting shows that FDEP requires completion of the project no later than March 31, 2021. The Consent Agenda 2 item for the City Commission on March 18 involved a budget amendment reflecting an FDEP grant to the city in the amount of $3,293,169, according to another memo from Strickland to DavisShaw. “The grant provides funding for the design, construction and monitoring of a beach hurricane recovery project followed by sand placement for the federal beach nourishment scheduled for [the 2019 and 2020 fiscal years],” the memo says. The equivalent required match from the city has been allocated for the 2019 fiscal year, Strickland added. The city also will utilize TDT revenue set aside for city beach renourishment projects for the long-range initiative, DavisShaw has explained to the City Commission. The project has been estimated to cost close to $21 million, with the federal government picking up the remainder of the expense. In June 2018, the USACE reported that it would provide $13,462,000 for the initiative. The FDEP permit is valid for 15 years.